On-camera workshops give students the unique opportunity to work on scenes and audition sides from television shows, films, and commercials. Each workshop focuses on the different acting techniques needed to excel in that particular art form. Workshops are taught by Television and Film actors, NYC and L.A. Casting Directors and Talent Agents or Managers. 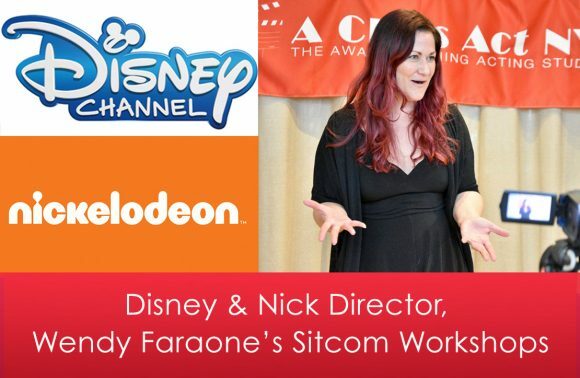 Learn the art of comedic on-camera acting featured on both The Disney Channel and Nickelodeon TV from one of the industry’s most in-demand professionals, Wendy Faraone! Wendy is a dynamic and influential director. She is currently directing Disney’s WALK THE PRANK and she was also the director of Disney's #1 family sitcom, LIV AND MADDIE. Wendy has worked on-set with actors on BEST FRIENDS WHENEVER, I DIDN’T DO IT, A.N.T. FARM, WIZARDS OF WAVERLY PLACE, SONNY WITH A CHANCE, I’M IN THE BAND, HANNAH MONTANA, as well as many Nickelodeon and Disney Channel pilots! Wendy’s workshops are well known for creating an inviting and energetic environment in which students are given the tools necessary to be successful, working actors in the entertainment industry. Impressively, she has recently coached all of the newly scouted talent for Disney Channel’s latest bootcamp and showcase! Industry Night: 4 Top Casting Directors! Ages 16 & Up! Wednesday Jan. 31! The casting directors we bring in cast for Broadway shows, TV pilots, series, films, voiceovers and commercials! Pre-Audition Prep: 6 – 7 p.m. If you choose, arrive at 6 p.m. and brush up and hone your audition material before performing for the casting directors with ACANY pros! Casting Director Session: 7 – 8:30 p.m. Perform for 4 amazing casting directors one of the following: a one minute or shorter monologue of your choice, or a 16 bar cut of a musical theatre song! We will provide a music director for singers. 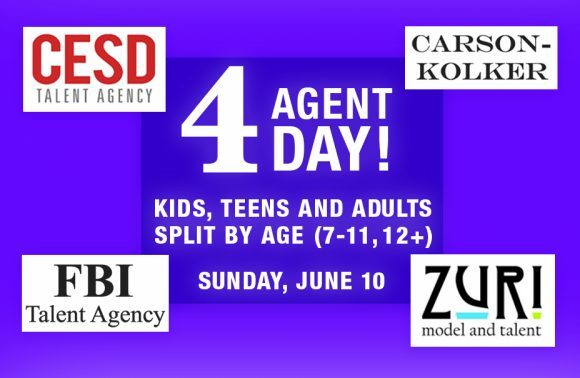 Agent Day with 4 Top Agents! Ages 7 – Adults! Saturday Feb. 3! Kid and Adult Actors divided into 2 rooms by age! Lucky participants have the amazing opportunity to work with 4 Top NYC Talent Agents in an all-day 6.5 hour intensive! We will be bringing in top commercial and legit agents (film, theatre, TV) from some of the best Manhattan agencies! The Agents are always looking for talent and many students have been picked up from classes and are now working! Receive one-on-one coaching from one of show businesses most respected Talent Agents, David Gilbert of Zuri Model and Talent! Zuri Talent Agency represents talent of all ages in Los Angeles & New York. They are currently booking across all categories including; Theatrical, Commercial, TV, Film, Print, Runway & Influencer. Commercial acting is harder than it looks and its very different from other genres of acting like stage acting, for example! In this 3.5 hour workshop, kids, ages 7-12, will learn the art of commercial acting with David! All Ages Welcome! Saturday Feb. 10! 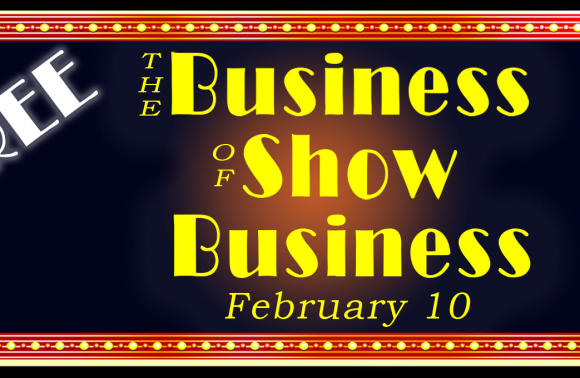 Parents of child actors and adult actors are welcome to join our Artistic Director, Jessica Rofé and a Top Talent Agent from a Top Bicoastal Agency for a most informative FREE Show Business Seminar! Come prepared to ask us your burning questions about the best way to manage a career in Show Business! The Top Talent Agent is one of the most respected agents in the biz and has been representing actors for over 30 years! She is a wealth of information! Jessica founded ACANY in 2005. Jessica works closely with bicoastal casting directors, agents and managers. She has also worked in casting in both NYC and CA and on the talent agency side as well. Once upon a time, she was also a performer! Ripley-Grier Studios, 520 8th Ave.
Ages 7 – Adults | All Skill Levels | There will be 3 Sessions (split by age) with Mitchell on Saturday, April 14th. Take 1 or more! Email us to join the wait list! Work with powerhouse L.A. based Talent Manager Mr. Mitchell Gossett of Industry Entertainment Partners where will be managing Luke Benward (Life of the Party), Thomasin Mckenzie (Leave No Trace), Danielle Campbell (The Originals), Navia Robinson (Ravens Home), Abigail Pniowsky (Ten Days In The Valley), Anna Pniowsky (Light of My Life), Atticus Shaffer (The Middle), Jessy Schram (Last Resort), Isabella Acres (Hello My Name Is Doris), Elizabeth Ludlow (Godzilla: King Of Monsters), and Diamond White (Boo 2- A Madea Halloween). ** Superstar session - credits cannot be applied toward this program. Pearl Studios, 519 8th Ave.
Work with 4 Top Talent Agents! The impressive lineup of Agents who are actively scouting for theatre, film, TV, commercial and voiceover actors include Julia Watkinson of CESD, Talia Edelhelt of Abrams Artists, Ellery Sandhu of Avalon Artists and Harrison Post of HCKR (Harden-Curtis & Assoc.)! Only a few spots left in Session 1 and 1 Spot Left in Session 2! 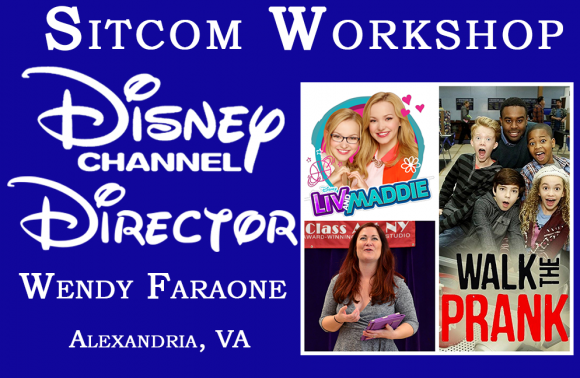 Learn the art of comedic on-camera acting featured on both The Disney Channel and Nickelodeon TV from one of the industry’s most in-demand professionals, Wendy Faraone! Wendy is a dynamic and influential director. She is currently directing Disney’s WALK THE PRANK and she was also the director of Disney’s #1 family sitcom, LIV AND MADDIE! Actors are often asked to read cold in both auditions and in your preliminary meeting with an agent. Of course as actors we always want to do the best we can in the room and that’s why its imperative for actors to sharpen their cold read skills. Learn how to quickly pick up text with no time to prepare, break down the script and bring your best self to the audition room despite your lack of time with the material. Every week, students will be presented with new material based on a weekly theme. We will cover Commercial cold reads, TV, Film, Monologues and Voiceover. Little factoid: commercials are always cold reads! Actors will NEVER receive the copy in advance to prepare! Can’t commit to all 12 classes? Come for one class, sign up for a few, or take all 12! Pay for all 12 at once, or pay by the class! Save $ when you commit to all 12-weeks! Final Showcase: Students who can commit to all 12-Weeks will have perform their newly honed cold read skills in a Showcase for family and scouting Talent Reps! Session 1, 10 AM - 1 PM - Sold Out! Join Waitlist Here! Session 2, 1:30 PM - 4:30 PM - Sold Out! Join Waitlist Here! Session 1, 10 AM - 1 PM Sold Out! Join Waitlist Here! Session 2, 1:30 PM - 4:30 PM Sold Out! Join Waitlist Here! Lucky participants have the amazing opportunity to work with either 2 or 4 Top NYC Talent Agents in either a 1/2 day workshop or a full day 6.5 hour workshop! 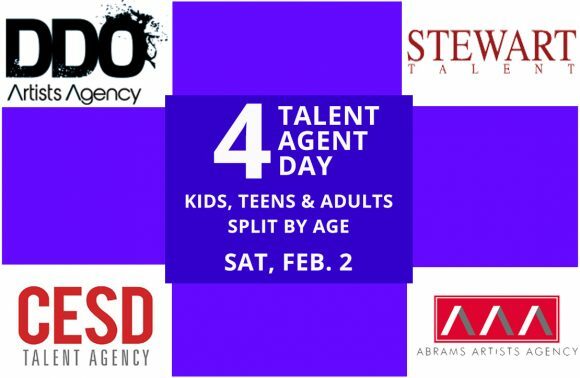 We are bringing in Stephanie Corvino (CESD), Alice Skiba (Carson Kolker), Chris Cooper (FBI) and David Gilbert (Zuri Talent Agency)! These agents represent theatre, film, TV, and voice-over! The Agents are always looking for talent and many students have been picked up from classes and are now working! Robyn casts important big-budget feature films including the highly anticipated Disney film A WRINKLE IN TIME starring Oprah Winfrey and Reese Witherspoon (March 2018 release). You MUST register for this class in advance. Class is capped at 16 students. Sign up for one class or multiple classes! Register as late as the morning of class! Focus of Class: Learn how to nail cold read commercial auditions and how to improv for the camera. Moreover, learn how to quickly analyze commercial copy and find the acting beats within the text to make a lasting impression in the audition room and how to identify clues within the text as well as physical techniques that allow you to deliver material in a way that will set you apart in auditions. Final Showcase: The final class will feature a showcase for family, friends, and scouting Talent Reps! 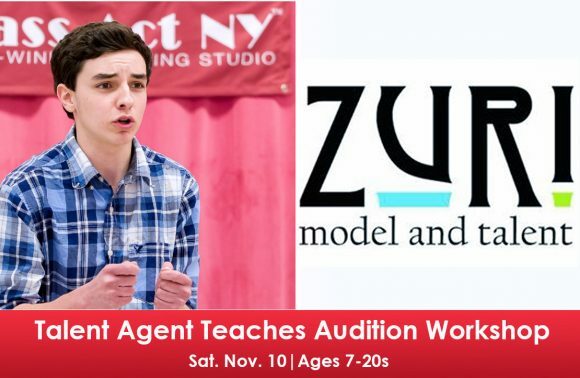 Work on audition technique with David Gilbert of Zuri Model & Talent Agency, a bi-coastal firm! This class is for singers and non-singers! Perform for the Talent Agent who will offer feedback and coaching on your presentation, interpretation and audition technique! Work with powerhouse L.A. 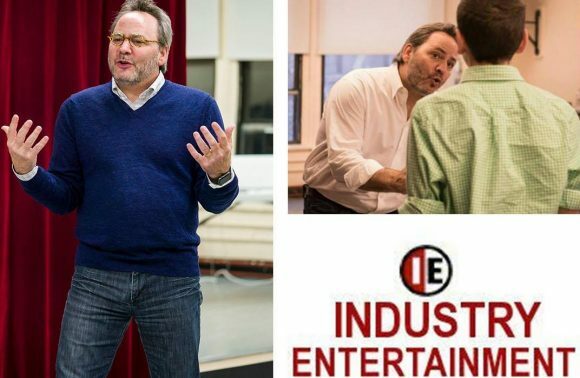 Talent Manager Mitchell Gossett of Industry Entertainment Partners in a monologue masterclass! Mitchell's storied success has allowed him to refer talent to agencies in NY, LA and across the USA. Focus of Class: Learn Mitchell Gossett’s ‘ACTions’ approach to delivering a memorable performance, perform a monologue for Mitchell Gossett, receive insightful coaching and feedback from Mitchell Gossett, perform a mock audition for Mr. Gossett, and walk away with personalized feedback. Class will conclude with a Q&A and session for parents and students! Mitchell has repped and developed many noteworthy actors, including Jennifer Lawrence (The Hunger Games), Miley Cyrus (The Last Song), Lucy Hale (Pretty Little Liars), Darren Criss (Glee), Zendaya (The Greatest Showman), and many, many others. •Perform either a one minute monologue OR a 16-bar cut. A music director will be provided for singers. Monologues will be sent in advance for straight actors. 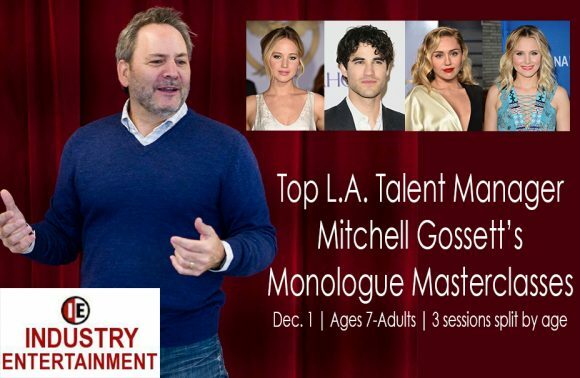 •Actors will receive one-on-one coaching on their presentation, interpretation and audition technique from 2 scouting Agents! Don't miss out on this amazing opportunity to work with Indie Film Casting Director, Adrienne Stern of Adrienne Stern Casting! She’s also worked in television casting too! 3/4 Sessions Sold Out! Join The Waitlist! 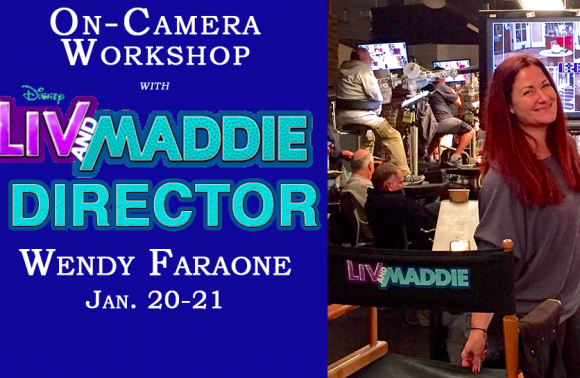 Learn the art of comedic on-camera acting featured on both The Disney Channel and Nickelodeon TV from one of the industry’s most in-demand professionals, Wendy Faraone! Wendy is a dynamic and influential director. She is currently directing Disney’s SYDNEY TO THE MAX, JUST ROLL WITH IT, WALK THE PRANK, RAVEN'S HOME, KNIGHT SQUAD, COOP AND CAMI ASK THE WORLD and she was also the director of Disney’s #1 family sitcom, LIV AND MADDIE. 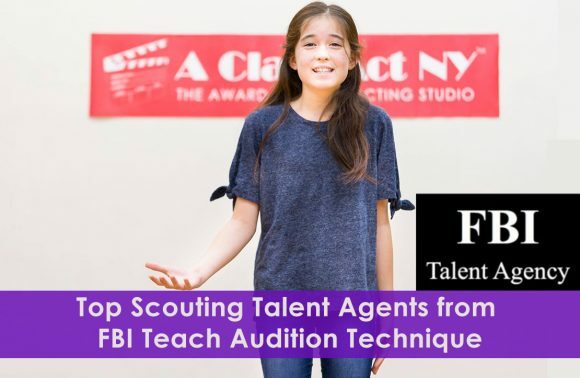 Work on audition technique with top scouting Talent Agents John Shea & Elizabeth Peterson from FBI! This class is for singers and non-singers! 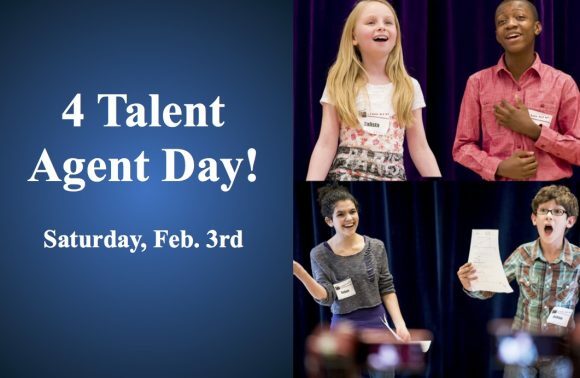 Perform for the Talent Agents who will offer feedback and coaching on your presentation, interpretation and audition technique! 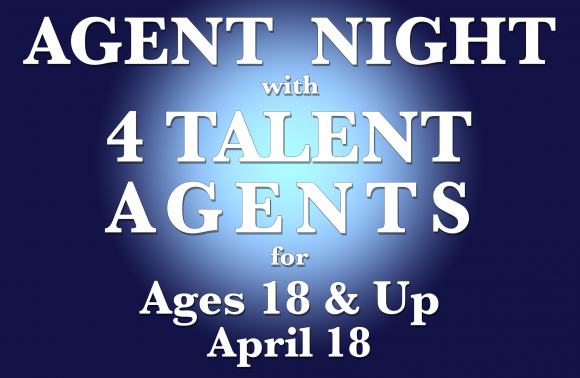 The Agents are always looking for new faces! DISCOUNT: Register for the MEAN GIRLS Workshop from 10am-12pm also and receive a $70 rebate! 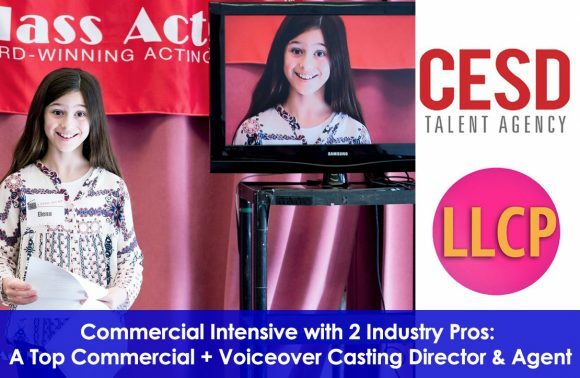 Train with top Casting Director, Rachel Reiss, Senior Casting Director of Liz Lewis Casting Partners and Stephanie Corvino of CESD who reps kids and teens for commercials, voice-over, and commercial print! 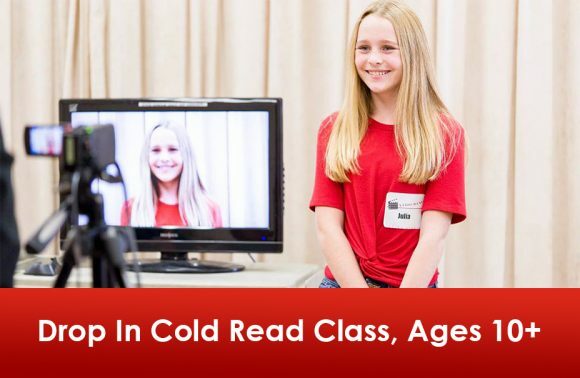 In the first half of the class, kids and teens will learn how to nail cold read auditions with a top NYC Commercial + VO Casting Director who will show you the ropes! 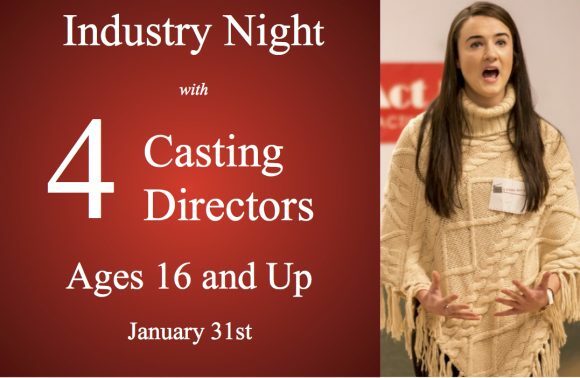 After learning proper commercial acting technique, the casting director will conduct mock auditions in which they will offer helpful feedback and coaching! In the latter part of class, take what you’ve learned and perform for a top NYC Agent, who will also conduct mock auditions and offer feedback and coaching!